Coordinates: 34°31′48″N 83°59′14″W﻿ / ﻿34.5299°N 83.9871°W﻿ / 34.5299; -83.9871The Dahlonega Mint was a former branch of the United States Mint built during the Georgia Gold Rush to help the miners get their gold assayed and minted, without having to travel to the Philadelphia Mint. :80–81,105 It was located at (34°31.8′N 83°59.2′W ) in Dahlonega, Lumpkin County, Georgia. Coins produced at the Dahlonega Mint bear the "D" mint mark. That mint mark is used today by the Denver Mint, which opened many years after the Dahlonega Mint closed. All coins from the Dahlonega Mint are gold, in the $1, $2.50, $3, and $5 denominations, and bear dates in the range 1838–1861. The mint produced coins every year from 1838 through 1861. Denominations produced included $1.00; $2.50 (quarter eagles); $3.00 (1854 only); and $5.00 (half eagles). When the American Civil War broke out in 1861, the Dahlonega Mint was seized by the Confederates. It is believed that after the Confederates took over the mint in 1861, that some gold dollars and half eagles were minted under the authority of the Confederate States Government. The exact number of 1861-D gold dollars produced is unknown, while approximately 1,597 1861-D half eagles were struck. Because of their relatively low mintage, all Dahlonega-minted gold coins are rare. It is generally accepted that gold coins estimated to exceed $6 million were minted here. 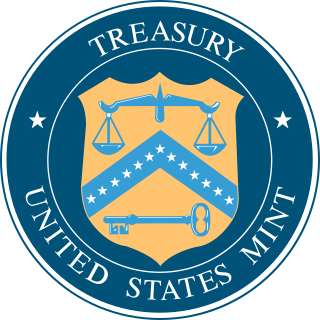 After the end of the Civil War, The United States Government decided against reopening the mint. The building was unused until the founding of North Georgia College in 1873. The mint building was used as the main academic and administrative building for the college until a fire destroyed the original building in December 1878. A new building for the college was erected on the foundations of the old mint building. This building is now named Price Memorial Hall after William P. Price, the founder of the college, and is still used by the college today. Gold leaf from this area also covers the exterior of the domed roof over the rotunda of the Georgia State Capitol in Atlanta. Local media often refer to the state legislature's activities as what's going on "under the gold dome". After the capitol building was gold leafed citizens of Dahlonega began a campaign to gold leaf Price Memorial Hall after the same fashion as the capitol. 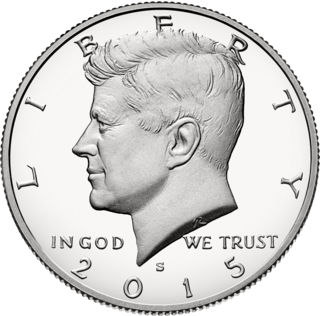 For other United States Mint facilities, see Historical United States mints. Six men acted as Superintendent of the Dahlonega Mint. ^ a b c d Williams, David (1993). The Georgia Gold Rush: Twenty-Niners, Cherokees, and Gold Fever. Columbia, South Carolina: University of South Carolina Press. ISBN 1570030529. ^ Lester, Carl N. "An Illustrated History of the Georgia Gold Rush and the United States Branch Mint at Dahlonega, Georgia". Gold Rush Gallery Inc. Retrieved January 2, 2014. Auraria is a ghost town in Lumpkin County, Georgia, United States, southwest of Dahlonega. Its name derives from aurum, the Latin word for gold. In its early days, it was also known variously as Dean, Deans, Nuckollsville, and Scuffle Town. The largest quantities of gold found in the eastern United States were found in the Georgia Gold Belt, extending from eastern Alabama to Rabun County, Georgia. The biggest concentration of gold was found in White, Lumpkin, and northern Cherokee counties in Georgia. The gold in the Georgia Gold Belt was close to 24 karat (100%) purity. Most of the gold was found in eroded rock (saprolite) and mixed in with quartz. The Dahlonega Gold Museum Historic Site is a Georgia state historic site located in Dahlonega that commemorates America's first gold rush and the mining history of Lumpkin County. The museum is housed in the historic Old Lumpkin County Courthouse built in 1836 and located in the center of the town square. It is the oldest surviving county courthouse in the state. The museum houses many artifacts from the gold rush of 1836, including gold nuggets, gold coins, and gold panning equipment, as well as an educational film and gift shop. The Georgia Gold Rush was the second significant gold rush in the United States and the first in Georgia, and overshadowed the previous rush in North Carolina. It started in 1829 in present-day Lumpkin County near the county seat, Dahlonega, and soon spread through the North Georgia mountains, following the Georgia Gold Belt. By the early 1840s, gold became difficult to find. Many Georgia miners moved west when gold was found in the Sierra Nevada in 1848, starting the California Gold Rush. Price Memorial Hall, also known as the Price Memorial Building, is a historic site in Dahlonega, Georgia. The hall was built on the site of the U.S. government's federal branch mint built in 1836. It burned down in 1878 and the university, one of the first Federal Land Grant Colleges, had its hall built on the foundation. A historical marker is located on the site.